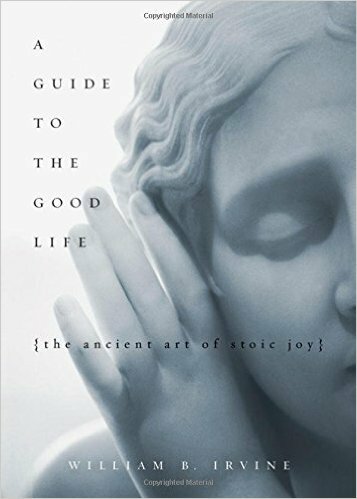 Blog / Book Notes: "A Guide to the Good Life: The Ancient Art of Stoic Joy"
I was never really into philosophy until a few years ago when I learned about stoic philosophy. It's a philosophy that I found very practical and I can apply to my life right away. Especially in today's world where we have so many more options and distractions. We often don't think about why we do what we do, to just go with the flow, to let others decide for us. We tend to waste a lot of our time worrying about things that aren't really that important and then time passes by and we realize we haven't really lived the life we want. "A Guide to the Good Life" is a book that will make you think what's really important to you and how to deal with whatever life throws at you. Below are my notes and highlights from this book. In defense of simple living, Diogenes observed that "the gods had give to men the means of living easily, but this had been put out of sight, because we require honeyed cakes, unguents and the like." Such is the madness of men, he said, that they choose to be miserable when they have in their power to be content. He believed hunger to be the best appetizer, and because he waited until he was hungry or thirsty before he ate or drank, "he used to partake of a barley cake with greater pleasure than others did of the costliest of food, and enjoyed a drink from a stream of running water more than others did their Thasian wine. The Stoics favored a lifestyle that, although simple, allowed creature comforts. The Stoics defended this abandonment by arguing that if they avoid the "good things," as the Cynics did, they thereby demonstrated that the things in question really were good--were things that, if they did not hide from themselves, they would crave. The Stoics enjoyed whatever "good things" happened to be available, but even as they did so, they prepared themselves to give up the things in question. Readers need to keep in mind, though, that unlike Cynicism, Stoicism does not require adherents to adopt an ascetic lifestyle. To the contrary, Stoics thought there is nothing wrong with enjoying the good things life has to offer, as long as we are careful in the manner in which we enjoy them. In particular, we must be ready to give up the good things without regret if our circumstances should change. For one thing, modern individuals rarely see the need to adopt a philosophy of life. They instead tend to spend their days working hard to be able to afford the latest consumer gadget, in the resolute belief that if only they buy enough stuff, they will have a life that is both meaningful and maximally fulfilling. We should keep in mind that "all things everywhere are perishable." If we fail to recognize this and instead go around assuming we will always be able to enjoy the things we value, we will likely find ourselves subject to considerable distress when the things we value are taken from us. The problem, though, is that once they fulfill a desire for something, they adapt to its presence in their life and as a result stop desiring it--or at any rate, don't find it as desirable as they once did. They end up just as dissatisfied as they were before fulfilling the desire. ...we need a technique for creating in ourselves a desire for the things we already have...the easiest way for us to gain happiness is to learn how to want the things we already have. They recommended that we spend time imagining that we have lost the things we value--that our wife has left us, our car was stolen, or we lost our job. Doing this, the Stoics thought, will make us value our wife, our car, our job more than we otherwise would. Our most important choice in life, according to Epictetus, is whether to concern ourselves with things external to us or things internal. A better strategy for getting what you want, he says, is to make it your goal to want only those things that are easy to obtain--and ideally to want only those things you can be certain of obtaining. And what about worldly success? Will the Stoics seek fame and fortune? They will not. The Stoics thought these things had no real value and consequently thought it foolish to purse them; particularly if doing so disrupted our tranquility or required us to act in an unvirtuous manner. This indiferrences to worldly success, I realize, will make them seem unmotivated to modern individuals who spend their days working hard in an attempt to attain (a degree of) fame and fortune. But having said this, I should add that although the Stoics didn't seek worldly success, they often gained it anyway. To engage in negative visualization is to contemplate the bad things that can happen to us. Seneca recommends an extension of this technique: Besides contemplating bad things happening, we should sometimes live as they had happened. In particular, instead of merely thinking about what it would be like to lose our wealth, we should periodically "practice poverty." In other words, voluntary discomfort can be thought of as a kind of vaccine: By exposing ourselves to a small amount of weakened virus now, we create in ourselves an immunity that will protect us from a debilitating illness in the future. What Stoics discover, though, is that willpower is like muscle power: The more they exercise their muscles, the stronger they get, and the more they excercise their will, the stronger it gets. This self-control makes it far more likely that they will attain the goals of their philosophy of life, and this in turn dramatically increases their chances of living a good life. The most important sign that we are making progress as Stoics, though, is a change in our emotional life. It isn't, as those ignorant of the true nature of Stoicism commongly believe, that we will stop experiencing emotion. We will instead find ourselves experiencing fewer negative emotions. We will also find that we are spending less time than we used to wishing things could be different and more time enjoying things as they are. Ideally, a Stoic will be oblivious to the services he does for others, as oblivious as a grapevine is when it yields a cluster of grapes to a vintner. He will not pause to boast about the service he has performed but will move on to perform his next service, the way the grape vine moves on to bear more grapes. Marcus recommends that when we interact with an annoying person, we keep in mind that there are doubtless people who find us to be annoying. More generally, when we find ourselves irritated by someone's shortcomings, we should pause to reflect on our own shortcomings. Doing this will help us become more empathetic to this individual's faults and therefore become more tolerant of him. A good Stoic, Marcus says, will not think about what other people are thinking except when he must do so in order to serve the public interest. In the same way a mother would be foolish to let the "insults" of her toddler upset her, we would be foolish to let the insults of these childish adults upset us. In other cases, we will find that those insulting us have deeply flawed characters. Such people, says Marcus, rather than deserving our anger, deserve our pity. By laughing off an insult, we are implying that we don't take the insulter and his insults seriously...For this reason, a humorous reply to an insult can be far more effective than a counterinsult would be. Rather than spending her days thinking bitterly about the happiness she has been deprived of by the death of her son, Marcia should, says Seneca, thinking about how much worse off she would be today if she had never been able to enjoy his company. In other words, rather than mourning the end of his life, she should be thankful that he lived at all. We live in a world, after all, in which there is much to be angry about, meaning that unless we can learn to control our anger, we will be perpetually angry. Being angry, Seneca concludes, is a waste of precious time. People are unhappy, the Stoics argue, in large part because they are confused about what is valuable. Because of their confusing, they spend their days pursuing things that, rather than making them happy, make them anxious and miserable. After all, think about how foolish it is to want to be remembered after we die. For one thing, since we are dead, we will not be able to enjoy our fame. Ironically, by refusing to see the admiration of other people, Stoics might succeed in gaining their (perhaps grudgingly) admiration. Many people, for example, will construe the Stoics' indifference to public opinion as a sign of self-confidence: Only someone who really knows who she is--someone who, as they say, feels good about herself--would display this kind of indifference. When, as the result of being exposed to luxurious living, people become hard to please, a curious thing happens. Rather than mourning the loss of their ability to enjoy simple things, they take pride in their newly gained inability to enjoy anything but "the best." The Stoics, however, would pity these individuals. They would point out that by undermining their inability to enjoy simple, easily obtainable things--bowls of macaroni and cheese, for example--these individuals have seriously impaired their ability to enjoy life. The Stoics work hard to avoid falling victim to this kind of connoisseurship. Indeed, the Stoics value highly their ability to enjoy ordinary life--and indeed, their ability to find sources of delight even when living in primitive conditions. People who achieve luxurious lifestyles are rarely satisfied: Experiencing luxury only whets their appetite for even more luxury...This is because the desire for luxuries is not a natural desire. Natural desires, such as a desire for water when we are thirsty, can be satisfied, unnatural desires cannot. Therefore, when we find ourselves wanting something, we should pause to ask whether the desire is natural or unnatural, and if it is unnatural, we should think twice about trying to satisfy it. In our youth, because we assumed that we wanted to live forever, we took our days for granted and as a result wasted many of them. In our old age, however, waking up each morning can be a cause for celebration. Indeed, they focus their energy not on doing their duty regardless of the consequences and not on taking principled stands that could get them into trouble, but on doing whatever it takes to go on enjoying the pleasures life has to offer. The Stoics, I am convinced, would respond to such thinking by asking whether a life in which nothing is worth dying for can possibly be worth living. Musonius goes on to suggest that we would also be better off if, instead of working hard to become wealthy, we trained ourselves to be satisfied with what we have; if, instead of spending time scheming to harm someone we envy, we spent the time overcoming our feelings of envy; and if, instead of knocking ourselves out trying to become popular, we worked to maintain and improve our relationships with those we knew to be true friends. Furthermore, as they are enjoying things that can be taken from them--the Stoics, as we have seen, are not averse to doing this--they will simultaneously be preparing for the loss of those things. In particular, as part of our practice of negative visualization, say the Stoics, we need to keep in mind that it is a lucky accident that we are enjoying whatever it is we are enjoying, that our enjoyment of it might end abruptly, and that we might never be able to enjoy it again. We need, in other words, to learn how to enjoy things without feeling entitled to them and without clinging to them. Many of us have been persuaded that happiness is something that someone else, a therapist or a politician, must confer on us. Stoicism rejects this notion. It teaches us that we are very much responsible for our happiness as well as our unhappiness. It also teaches us that it is only when we assume responsibility for our happiness that we will have a reasonable chance of gaining it. For each desire we fulfill in accordance with this strategy, a new desire will pop into our heads to take its place. This means that no matter how hard we work to satisfy our desires, we will be no closer to satisfaction that if we had fulfilled none of them. We will, in other words, remain dissatisfied. "What can you do about this situation? Nothing! Then why are you worrying about it? It is out of your hands, so it is pointless to worry." The problem with mosquito bites, of course, is that after you scratch one, you typically wish you hadn't done so: The itch returns, intensified, and by scratching the bite, you increase the chance that it will become infected. Much the same can be said of anger: Although it feels good to vent it, you will probably subsequently regret having done so. I have become dysfunctional as a consumer. When I go to a mall, for example, I don't buy things; instead, I look around me and am astonished by all the things for sale that I not only don't need but can't imagine myself wanting. My only entertainment at a mall is to watch other mall-goers. Most of them I suspect, come to the mall not because there is something specific that they need to buy. Rather they come in the hope that doing so will trigger a desire for something that, before going to the mall, they didn't want. We live, in other words, in a world in which, no matter what you do, you might be making a mistake. This means that although it is true that I might be making a mistake by practicing Stoicism, I might also be making a mistake if I reject Stoicism in favor of some other philosophy of life. And I think the biggest mistake, the one made by a huge number of people, is to have no philosophy of life at all. There is, in other words, little to lose by giving Stoicism a try as one's philosophy of life, and there is potentially much to gain.